Floors are under our feet all day long and, like so many things, they often go unnoticed until they stop working. A cracked, stained, or dark floor is not only unsightly, it is also a hazard. The Australian Standards set the benchmark for acceptable industrial floor coatings, requiring them to meet safety and OHS specifications including hygiene and odour control, fire safety, interior environment quality, comfort, ease of cleaning and maintenance, acoustic control, and others. All of these criteria ensure that the flooring is fit for purpose in its intended environment. Commercial and industrial flooring needs to be able to withstand high traffic, abrasion, chemicals, and impact, as well as being attractive and comfortable. Some environments require additional qualities, such as antimicrobial properties for hospital flooring, anti slip, anti static, or fast cure where downtime needs to be kept to a minimum. Because of this, epoxy is the most common resin flooring solution. Polyurethane, polyurea, and polyaspartic are alternatives to industrial epoxy floor coating. In this article we outline the various industrial floor paint solutions and the applications for which they are suited. We also provide a list of industrial floor coatings specialists in Australia. Industrial epoxy flooring is a seamless, abrasion, and chemical resistant finish that make it suitable for a range of applications. It can also be decorative. Unfortunately, particularly in Australia, the epoxy resin is not UV stable and tends to chalk in the sunshine. It also has the longest cure time and is the least flexible of these big four. Polyurethane (PU paint) also has the resistant and seamless qualities of an epoxy, but it is UV stable and more flexible/comfortable to walk on. Due to this it is often used as a top coat over epoxy. However, it is sensitive to moisture and temperature when being applied. Requires a catalyst. The most heavy-duty of the coatings, the cure speed and heat required for application mean it requires a bulky spray apparatus which decreases the number of suitable applications. Discolours on exposure to UV radiation, but has extreme resistant properties. The ‘newest’ of the resin coatings, it is rapid curing, UV stable, and highly durable. They have a lower moisture transmission rate than polyurea and polyurethane, so they can be applied at a lower thickness. Though you may think that industrial floor coating speaks for itself, there are a range of purposes of varying specificity that industrial floor paint is used for. The environment, substrate, and end use all influence the choice of coating. Below are a few of the applications and special uses of industrial floor coatings. A reflective warehouse floor paint increases brightness and improves safety. Self-levelling/self-smoothing epoxy coating: A self-levelling (or self-smoothing) floor is an industrial epoxy floor coating which forms a smooth and level texture. They are probably the most common type of epoxy floor. Polyurethane flooring topcoat: Polyurethane is more flexible than epoxy, and so is more comfortable to walk on. Often a polyurethane topcoat is applied to an epoxy basecoat to double up on the protective and sensory properties of the two coatings. Polyurethane is also used a topcoat for epoxy where heightened UV stability is required. Anti slip floor coating: By adding a non slip aggregate to a polymeric coating, a floor system can be made anti slip. There are also floor coatings (such as certain epoxies) which are formulated to have anti slip properties naturally. Antimicrobial floor coating: In environments such as hospitals, healthcare centres, leisure centres, or schools, an antimicrobial coating can be used to prevent the spread and growth of microbes such as bacteria, mould, and fungus. 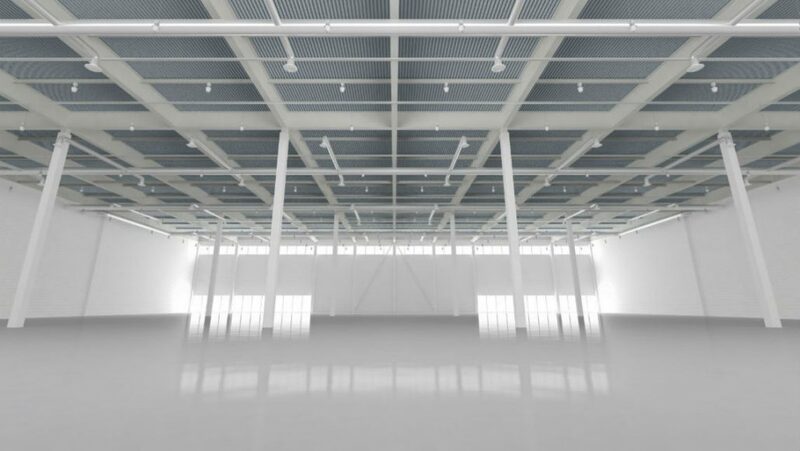 The monolithic, seamless nature of an industrial floor coating is crucial in providing an easy-to-clean surface, as well as antimicrobial additives. Anti static floor coating: Designed to reduce the buildup of a static charge in a floor, which also reduces the amount of dust attracted to the floor. This also protects equipment for example in laboratories, hospitals, and electronics equipment manufacturing plants. If you have a specific requirement from your floor coating and would like more information about available coating types, get in touch! Our experts are here to help connect you with the coating you need for your project. 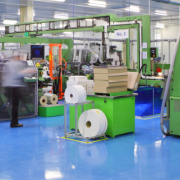 The need for high quality commercial and industrial flooring means that there are suppliers and manufacturers operating across Australia, from Sydney to Perth. No matter where you are in this wide brown land, there is a coating specialist for you. Below is a short sample list of industrial coating companies. If you need commercial or industrial floor paint and want to source a specialist, you are in the right place! Our experts are here to help you with your coating needs. Simply take advantage of our 100% free quote service by clicking the “Request a Quote” button beneath this article. Tell us about your project and we, in collaboration with our coating partners, will connect you with the right coating for the job. Concrete Resurfacing Systems Unit 5/ 40 Ricketts Rd, Mount Waverley, VIC 3149 (Melbourne) Commercial and industrial floor paint including epoxy, polyurethane, acrylics, polyesters, and more. CBH Coatings 66A Bateman Rd Mt Pleasant, WA, 6153 (Perth) Commercial and industrial floor coating specialists, including epoxy, polyurethane, and novolac finishes. Non slip, self levelling, high build, food and health regulation standard floors. Flowcrete Australia Unit 2, 41 Deakin Street, Brendale, QLD, 4500 (Brisbane) Suppliers and manufacturers of commercial and industrial floor coating resins. Poly-tech (Hobart) 14 Chesterman St, Moonah, TAS 7009 (Hobart) Commercial and industrial concrete floor protection coating including epoxy, polyurethane, polyester, polyurea, and polyaspartic. Non slip, levelling, waterproofing and more. Roxset Australia Unit 16, 19-23 Bridge St, Pymble, NSW, 2073 (Sydney) Commercial and industrial floor paint solutions using epoxy and polyurethane resins. Food safe flooring for the Australian food and beverage industry.